It is designed for Helmet Nano tank. 0.4ohm and 0.6ohm coils are available. 5pcs each pack. Get it as a spare part. 5pcs SMOK Helmet Nano Clapton Coils. Designed for the Helmet Nano tank. 0.4ohm and 0.6ohm coils are available. 5pcs each pack. Get it as a spare part. • It's compatible with SMOK OSUB One Kit / SMOK OSUB Mini Kit. The work really well; they last pretty long - provided you keep your tiny tank full. I've burned a few out because I was not paying attention to the juice level in my Smok, but otherwise they are great. 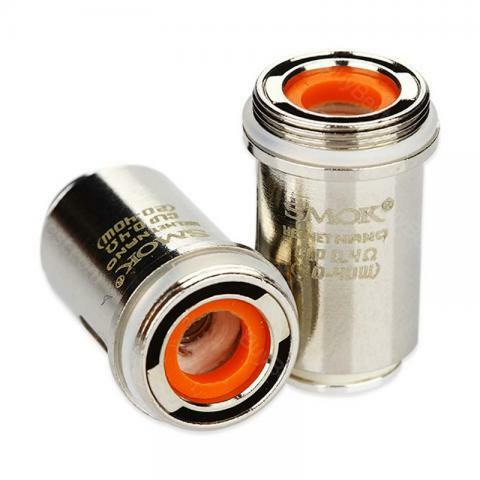 SMOK Helmet Nano Clapton Coil is a 5pcs/pack SMOK Helmet Nano Clapton Coils. Designed for the Helmet Nano tank. 0.4ohm and 0.6ohm coils are available.